Support groups said victims and their supporters had travelled from around the nation to hear the apology in the parliament’s galleries. 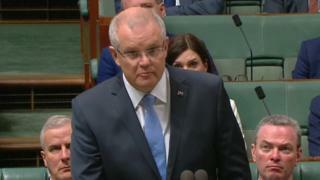 Mr Morrison said the government had accepted most recommendations from the inquiry, adding that the remaining proposals were still under consideration. He also committed to establishing a national museum of remembrance to memorialise victims’ stories. ← We have FOMOMG – do you?